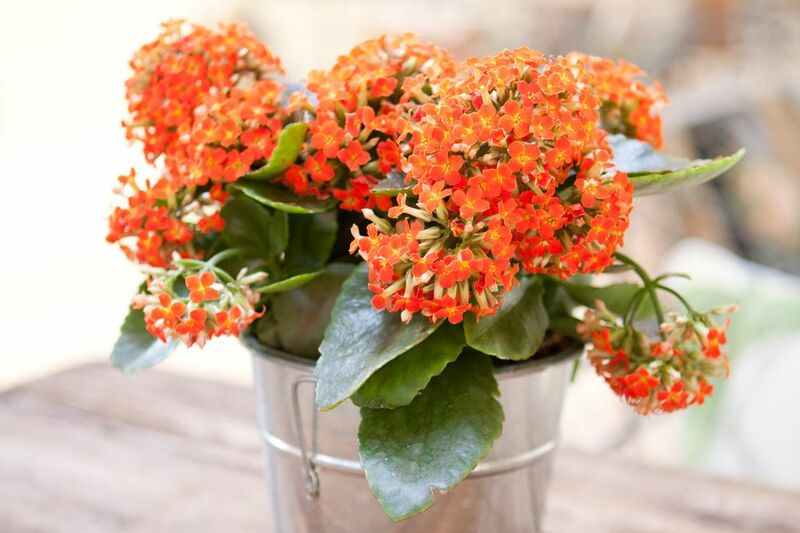 Kalanchoe plants are popular succulents known for their long-lasting bloom from winter to spring. 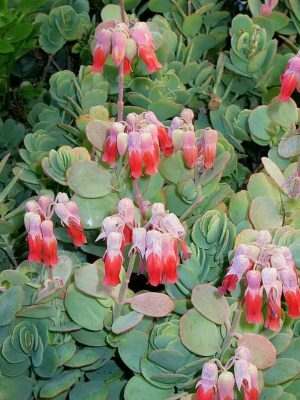 These are fairly low-maintenance plants that can be grown both indoor and outdoor with minimum care. 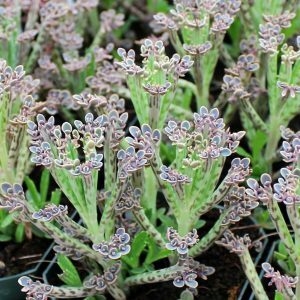 Kalanchoe Synsepala– Fleshy leaves with pale pink to reddish flowers. 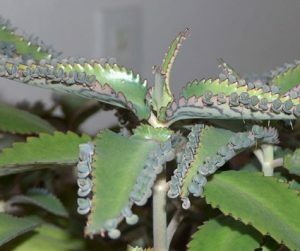 All these different types of kalanchoe plants need the same growth and care requirements to thrive well. Select a clay pot between 4 inches and 8 inches wide, and 6 inches deep with a good drainage. Fill it with a commercial potting soil mix (alternately, you can either use sand or a mixture of 60% of peat moss and 40% perlite). You can place the pot in a drainage tray to help drain the excess water. Once the pot is ready, place the plant carefully into it and water thoroughly. 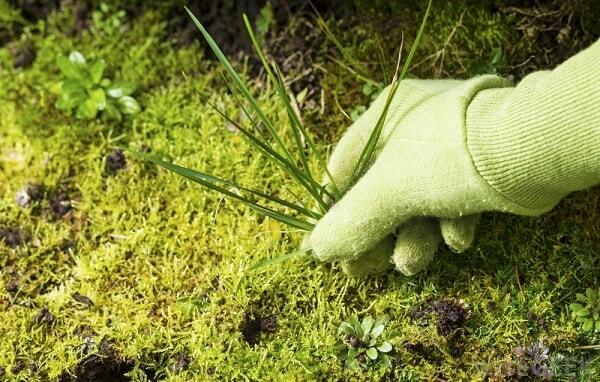 If you want to grow the plant outdoor, make sure your garden soil is moderately moist (not soggy or extreme dry). If you are growing the plant indoors, select a suitable place where it can receive adequate sunlight as potted kalanchoe bloom well when provided with 8 to 10 hours of sunlight daily. 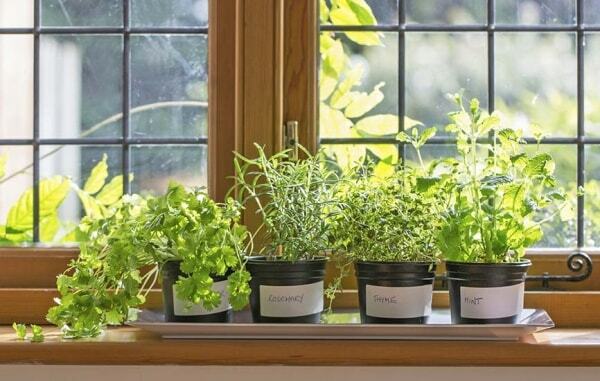 Since in winter the sunlight is less intense, a south-facing window would be preferable. On the other hand, in summer an east/west-facing spot would prevent direct sunlight from damaging the leaves, while also ensuring its normal growth. Outdoor plants have to be grown in areas where they can receive partial shade during the hottest part of the day as well as get proper shelter from rain. While indoors, the plant grows and blooms well in normal room temperature, ranging between 65°F (18°C) and 85°F (29°C). 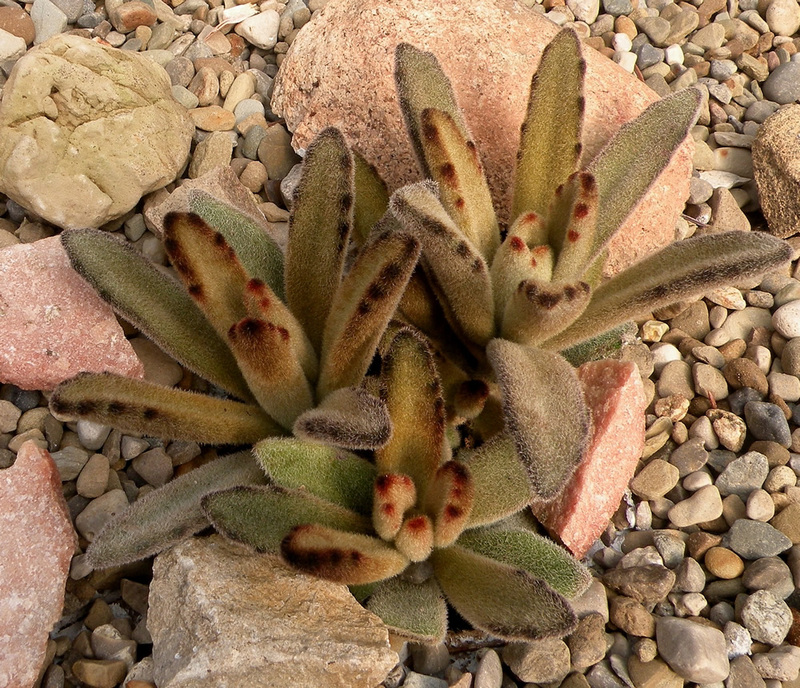 When planted outside, it should not be exposed to temperatures lower than 40°F (4°C) to 45°F (7°C) as it can undergo severe damage or die within a few hours under the influence of extreme cold and frost. 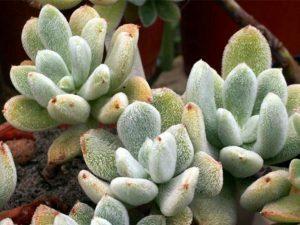 For both indoor and outdoor, the humidity levels have to be maintained low since the plant does not favor misty conditions. 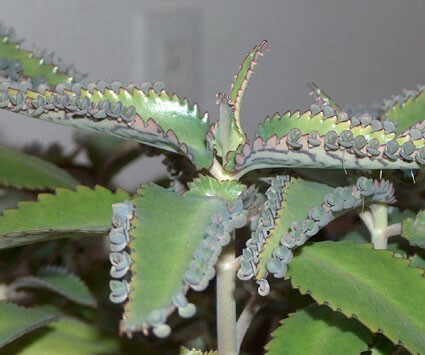 Like any succulent plant, kalanchoe stores water in its leaves for a longer time and hence too much watering is not advisable. 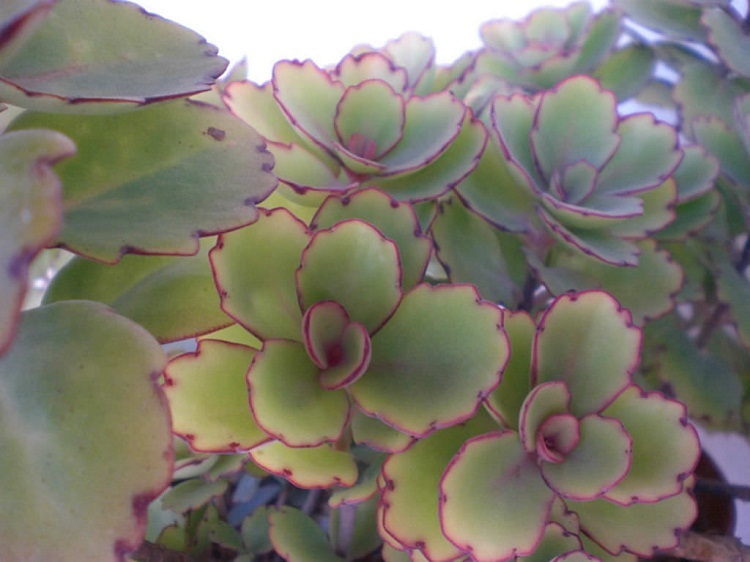 Also, wetting the leaves should be avoided to prevent diseases like powdery mildew and leaf spots. 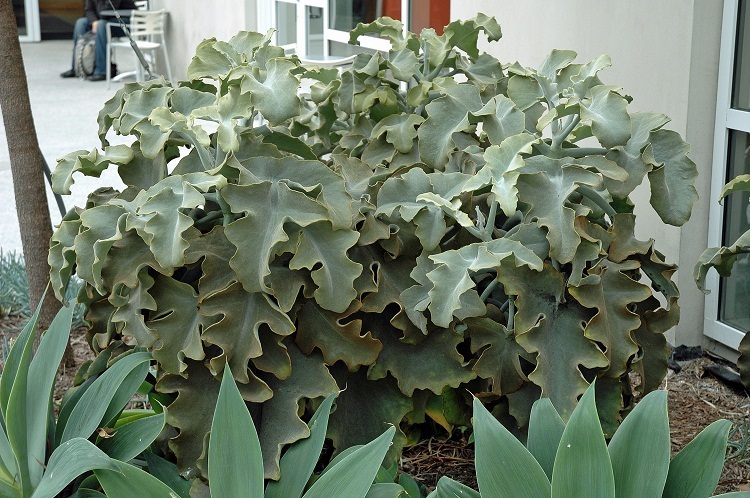 In fact, overwatering is one of the primary reasons for these plants’ untimely death. 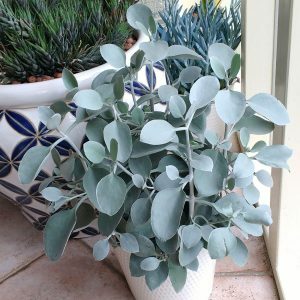 For houseplants, water only when 50% of the soil has dried up or the soil looks dry (they don’t need watering daily) Make sure the water runs out the bottom of the pot to allow the soil to moisten uniformly. 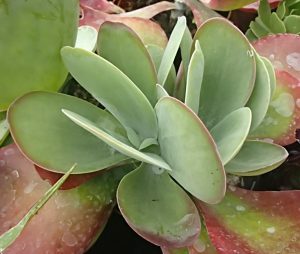 If it’s placed on a drainage tray, empty it every time after watering as the plant should not be allowed to sit in the drained water for too long. Sometimes, when you find the soil too dry, place it in a deep saucer of water for about ten minutes to help the plant receive the required amount of moisture without wetting the leaves. Outdoor plants should be watered when the top inch of the soil appears dry. 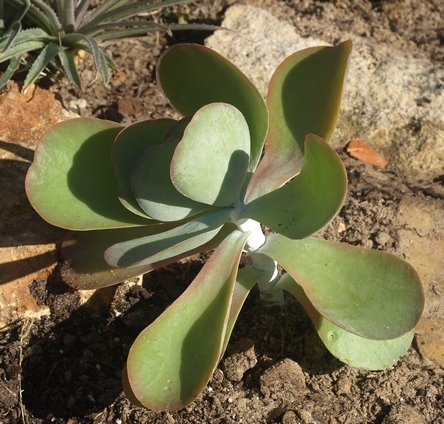 Although overwatering should be avoided, leaving the soil too dry can affect the plant growth. Feed the plant during the growing season with a 20-8-20 high nitrate fertilizer that should be diluted to half or a quarter of the recommended strength every two weeks. If the soil looks dry, water the plant before feeding with the liquid fertilizer to prevent the roots from getting burnt. Trim off any stems with dead or dying flowers and leaves to facilitate a better bloom. 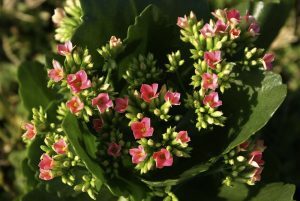 In fact, pruning the plant soon after a new bloom helps in the development of new flower buds in about two to three weeks. Overgrown branches can be simply trimmed off at regular fork intervals. 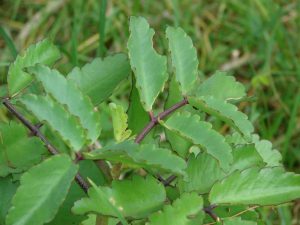 Wayward branches or stems should be cut off to maintain the shape of the plant. 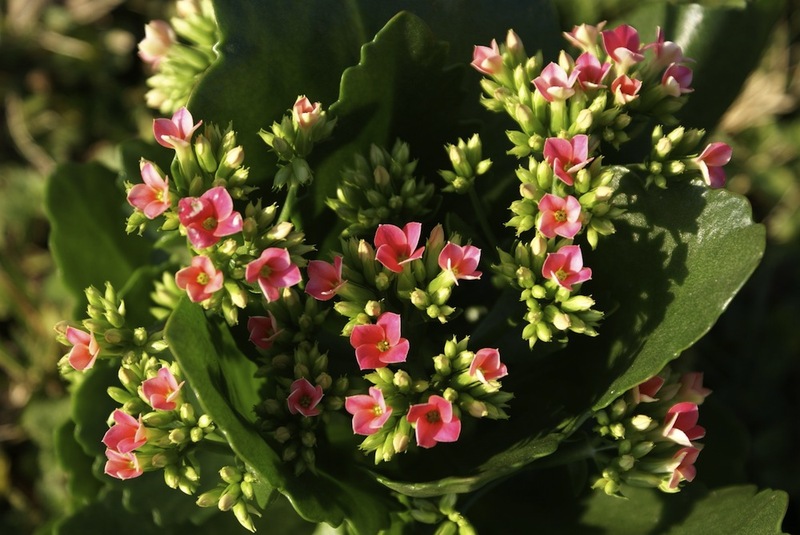 Overgrowth and lack of sunlight make it leggy, resulting in weak and slender stems with low production of flowers. 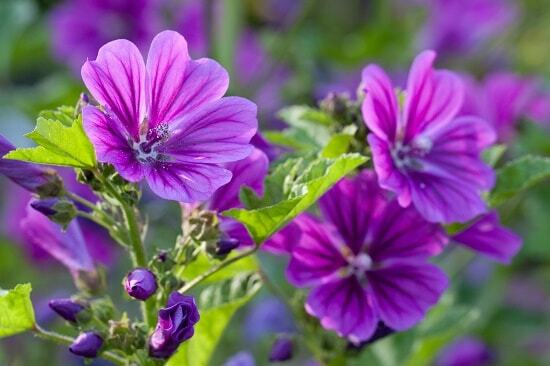 Dust accumulated on the leaves and flowers can be cleaned by wiping with a cloth or a gentle spray of water regularly. Wipe the leaves with a dry cloth as well as you can after spraying. 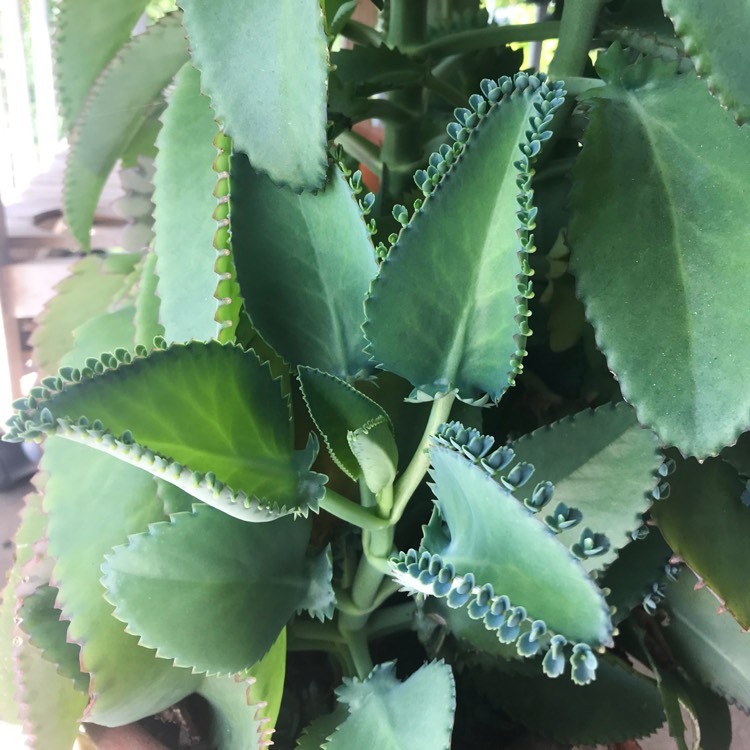 The plant needs to be transferred to a new container in spring every 12 to 24 months when it no longer has enough room to grow in the old one. 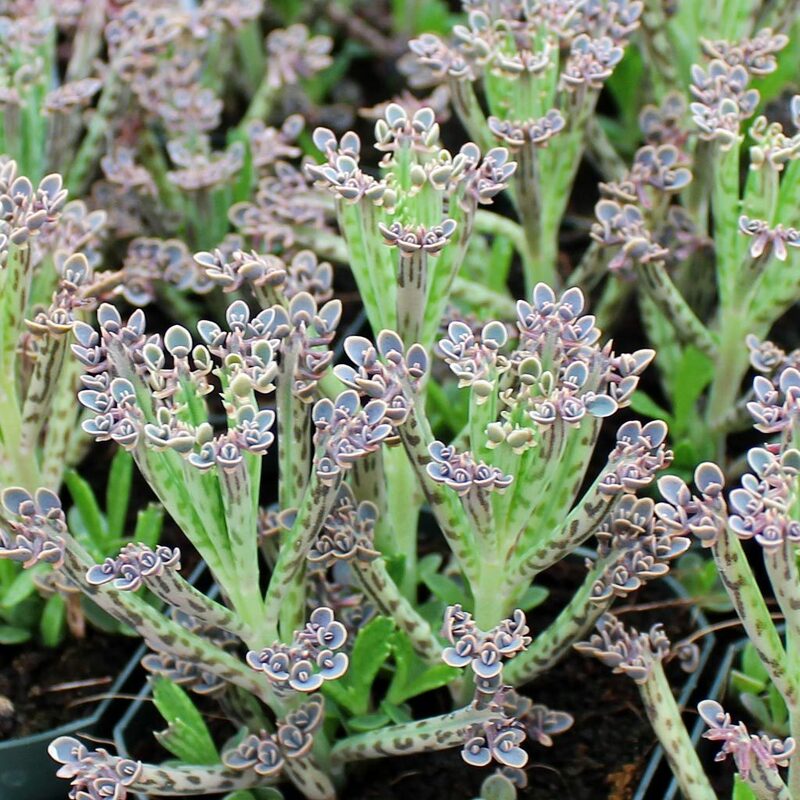 You will know your plant needs re-potting if you spot the roots coming out of the drainage holes, or the flower stems dying soon after blooming. 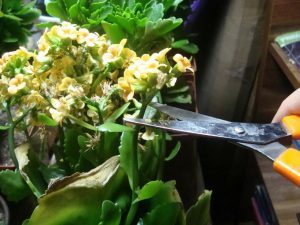 Trim off all dying stems, then hold the main stem near the base and invert the pot to pull out the plant. Trim off any compressed, dry, or insect-damaged root at the bottom of the root ball and clear the old soil from the roots with your hand. 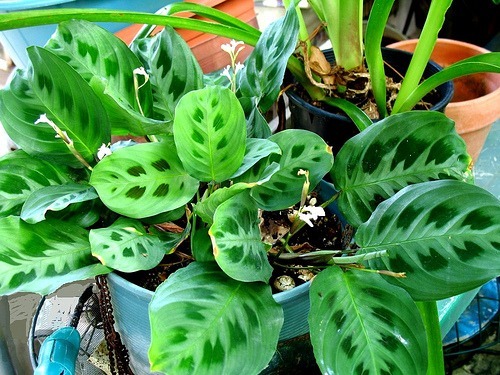 Transfer the plant carefully to a new clean pot, about 2 inches larger than the older container, with proper drainage. 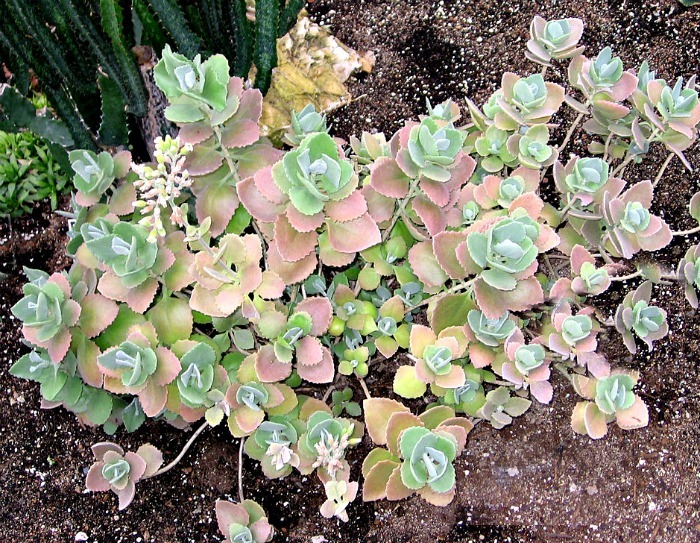 Then fill the bottom with a good potting mix (preferably those used for cacti). 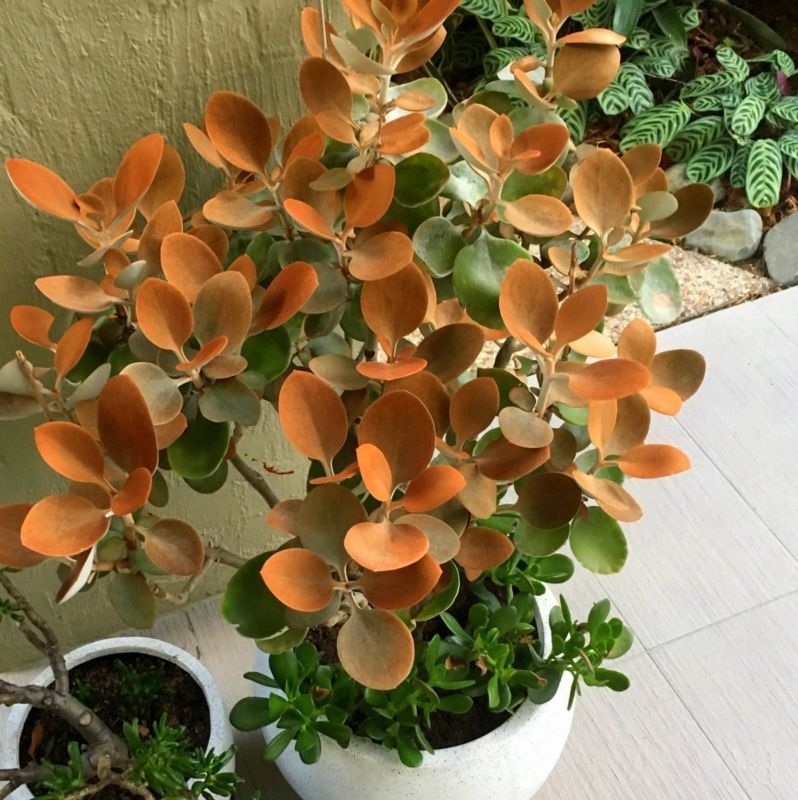 Make sure the leaves are handled carefully as they are brittle, breaking off easily. 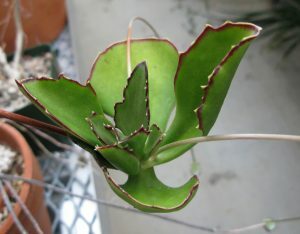 Place the plant in the center of the pot so that the crown is below the rim. Add some more potting mix to the top of the container, covering the root ball up to the crown. 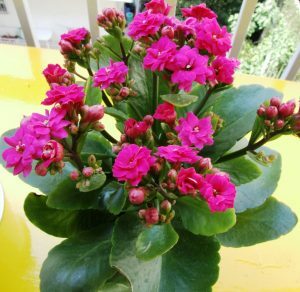 Once you are done, water the plant to moisten the soil properly, after which it should be kept dry to allow normal growth and blooming. 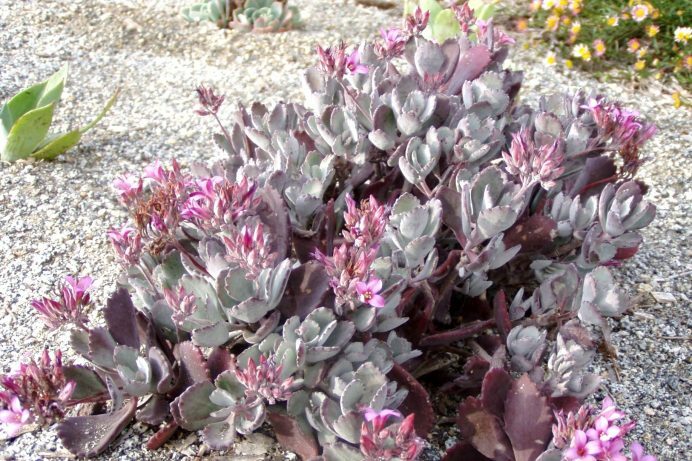 To display flower buds, these succulent plants require winter lighting conditions, with a temperature ranging from 40°F (4°C) to 45°F (7°C) at night, and 60°F (16°C) during the day. 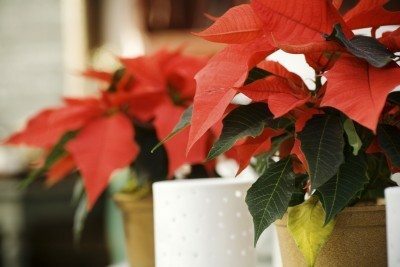 If you want your plant to bloom again during the other parts of the year, you need to mimic the winter weather conditions. 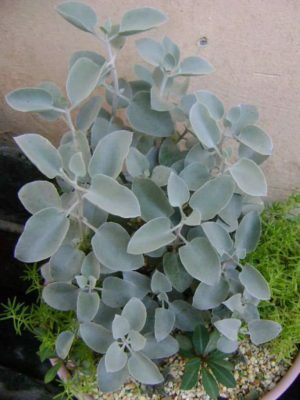 Place the plant in a dark/dim room or closet for nearly 12 to 14 hours for about 6 weeks, exposing it to only bright sunlight during the mornings (not for the full day), getting it back in the dark afterward. Stick to minimal watering and no fertilizing. Once the plant begins to form buds, shift it to a normal sunlight environment, and carry on with normal watering. Pests – Aphids, little red spider mites, nematodes, mealybugs and scale insects, may cause honeydew secretions on the leaves, leading to torn and faded leaves. Regular cleaning with a moist cloth/alcohol-dipped cotton swab as well as applying neem oil may prevent the problem. Also, using yellow sticky cards and insecticidal soap may also help. However, if the damage is more severe, you might have to use some eco-friendly pesticides. Rot – Overwatering could lead to rot that is characterized by black, soggy appearance at the base of the stem, resulting in damaged roots. 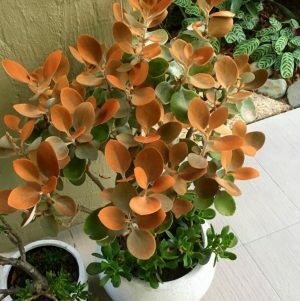 If left in this condition for a long time, it may get affected by fungi like pythium and phytophthora, causing yellowing and wilting of leaves. Trim off the damaged roots and repot the plant before it completely rots. 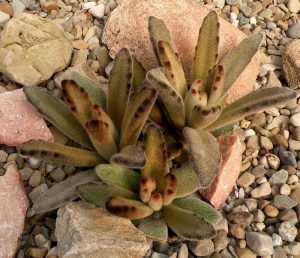 Using well-drained soil and following a proper fertilizing and watering schedule could help in preventing the problem. However, in most cases, rot-affected plants might not be able to survive for long, and you might end up getting another plant. 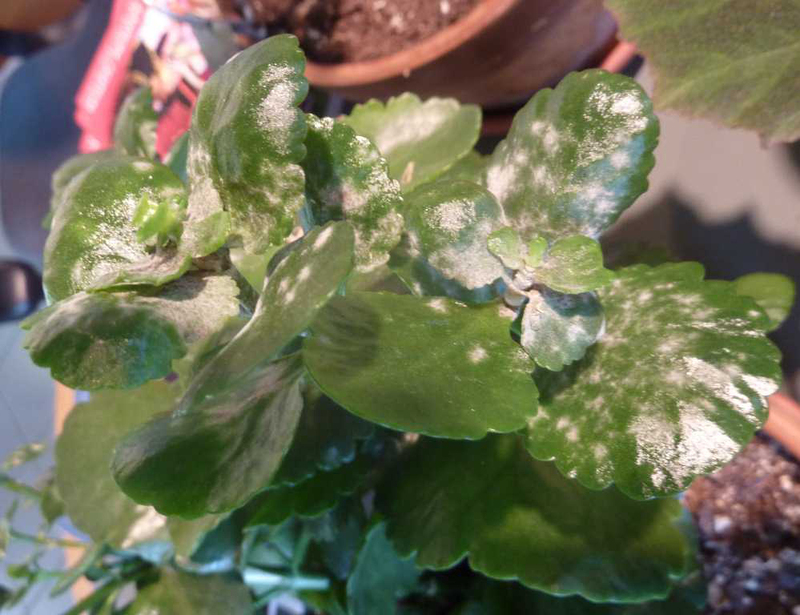 Other Fungal Problems – Improper watering and excessive humidity can cause powdery mildew and leaf spotting. 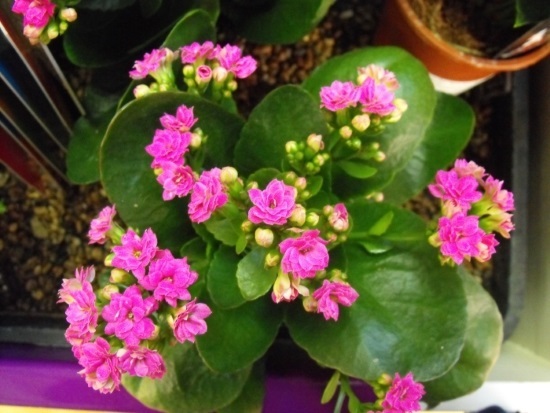 To control it, keep your plant in well-ventilated areas and make sure the leaves stay dry. In severe cases of mildew, spray the plant with a solution of 2 tablespoons of 85% potassium bicarbonate product and 1 gallon of water every one to two weeks. These plants are categorized as poisonous due to the presence of some cardiac toxins that might pose severe health risks to animals if they eat the flowers, leaves, or any other part. In fact, the water in the vase containing kalanchoe flowers is also considered toxic. Even though it is not considered toxic to humans, it is advisable to keep your children away from the plant as well as your pets.